Last month we brought our readers the huge news that Gun Media was not only adding single player mode, but they were are also adding a third playable map of Packanack Lodge from Friday The 13th Part 2 as well as the character Tommy Jarvis! The plan going forward will be the Beta release of the game on PC in late Fall (December) for Kickstarter backers followed by the initial full game release that includes Multi-player in Spring 2017. The final release will be available in Summer 2017 which will contain the coveted single player mode (free for kickstarter and slasher backer contributors). To keep fan's interest with the impending Beta release, Gun Media released the splash screen for the game that fans will see in December. You can view the screen below. 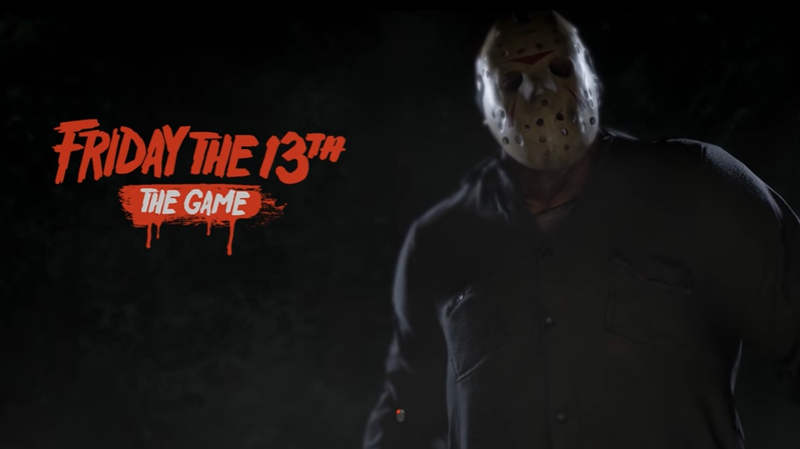 According to Wes Keltner of Gun, All Jason Voorhees incarnations that have been created for the game will be seen in the splash screen, but the example shown below only showcases Jason from Part 3. Stay tuned for the announcement of the Beta release in the coming weeks as fans eagerly await their chance to visit Crystal Lake and encounter Jason Voorhees.